If you ever want to explore a city through its food and sights, the best way to kill two birds with one stone is to do so a food walking tour. We did just that during one of our visits to Amsterdam. Exploring the Dutch capital by way of Eating Amsterdam food tours, and through that checking out Amsterdam food, passing through Jordaan district food stops, our food walking tour was also combined with a canal cruise checking out more of Amsterdam’s tourist sights. 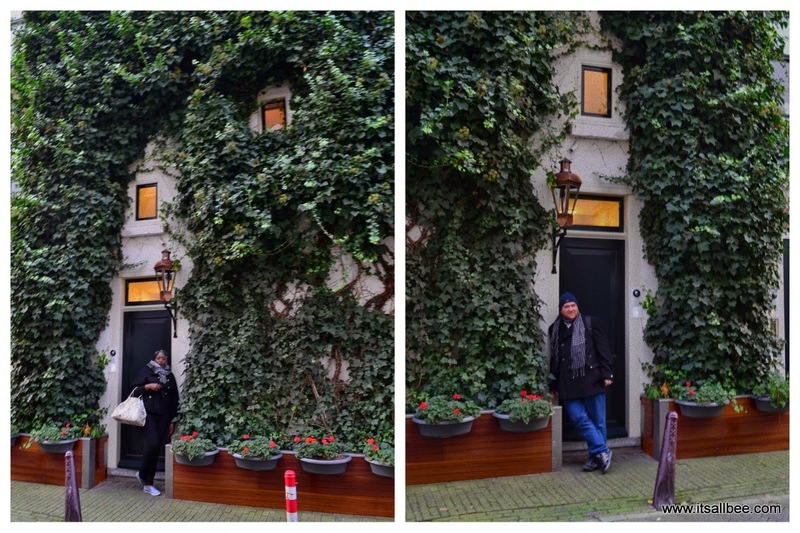 I don’t believe our tour passed through the red light district but we walked by afterward on our own. Our Amsterdam weekend break was specifically planned around the best Amsterdam food tour and below I will take you on a journey of Amsterdam food and canal tour. My dreams of travel extend far into many corners of this big ‘ol world. There is one particular place I have been dreaming about for the last two years. Suriname, a country that lies in the northern-eastern of the Atlantic coast of South America. My daydreams are filled with pictures of pristine sandy beaches, coconut drinks, drank straight from the coconut itself and food full of exotic flavours that send me into an unbounded spiral of wanderlust. To my surprise I had no idea the trip to Amsterdam a few weeks ago to celebrate 2 years together with a cuddly ginger would have me sampling authentic Surinamese food in the heart of Amsterdam. Not so far out of the ordinary as the Dutch colonised Suriname. With many places they travelled, they returned with food rich in flavour that even today will leave dinners speechless as they quietly devour each intoxicatingly flavoured bites. You can explore Amsterdam through locals favourite food tours, tasting not only dutch food but those from out parts of the world, from cheese tasting to fresh seafood, Dutch beers and through these guided tours you feel a little closer to the city than just visitor passing through. So if you want to get a deeper experience of the city, I would highly recommend one of the many Amsterdam food tours and below I will take you through some of the best Amsterdam food tours. We only planned a weekend in the Amsterdam but were looking for the best way to maximise the time we had and see as much of the city without spending the whole weekend reading guide books. I then remembered I had been invited to join the Eating Amsterdam Food Tour. It was a no-brainer! I paid for another spot on the tour and it was all sorted! Straight from Schiphol Airport into a cab to arrive at Papeneiland Cafe to meet Chris, our tour guide on the Amsterdam Food Tour. For tips on creating your own version of a food tour around Amsterdam check out A World In Reach. From there on the group on the tour tasted flavours from Suriname by way of the Pom sandwich. A sandwich made with sauteed chicken pieces with grated pomtajer mixed in with of other spices. With each stop on the tour, we had stories of the origins of the food, the surroundings in the city and how it evolved. We also stopped by a fish and chip shop in Jordaan food district that served pickled herring. For someone that hates anything pickled, I had been converted! I must not have hidden my delight so well as a lady walking out of the shop whispered to me ” It’s also very good for your insides too and the oil in the fish too is good for your skin”. I might have to go back to Amsterdam and buy me a few tabs of it in that case. We also stopped by a licorice store and tasted some of the sweet and salty licorice that every Dutch lives by. This is one of the best Amsterdam food tours but for more on foods to try in the Amsterdam, check out Bruna’s guide of the typical Dutch food to try when in Amsterdam. Our walking food tour of Amsterdam passed by Anne Frank’s house as we walked towards the canals where our private tour boat was waiting, our combined Amsterdam food and canal tour. Taking the food tour to the waters didn’t mean the food stopped, it now meant we could wind down the waterways and take in the city while sipping champagne, Dutch beers and tasting fine cheese and more of Amsterdam’s great food on offer. It turned out we were not the only ones on a celebratory weekend, there was another couple on the boat on their honeymoon who had also done the eating Prague tours, the Czech version of the tour while doing the European tour for their honeymoon. How fitting that our tour was also passing through the “Magere Brug” aka the skinny bridge. There is a belief that if you kiss while passing under this bridge you and your partner will stay together happily ever after. Right as the skipper took us under, you know that all the couples on the boat puckered up and smooched as we passed under the bridge…. This is definitely one of the best food tours I have done and was such a great way to see the Amsterdam city and eat through the districts at the same time, all the while learning more about Amsterdam and Netherlands in general. This was my gift to my boyfriends and he still singing its praise. Even as Londoner I have been on the Eating London Food Tour. I would highly recommend these tours as you not only learn about the food int he city but little bout the history too. There are plenty of great food tours to check out in Amsterdam city while exploring not only the districts like Jordaan but there are some that also pass by the Red Light District. You and also do the Amsterdam Jordaan district food walking tour and explore top sights in Jordaan like Anne Frank House, Houseboat Museum, Lindengracht Markt. What better way to explore the city than sample bites through Amsterdam delicious food tours. There is also a variety where you also have a choice to do a vegetarian food tour in Amsterdam if you are not a meat eater. Below gives you both options. 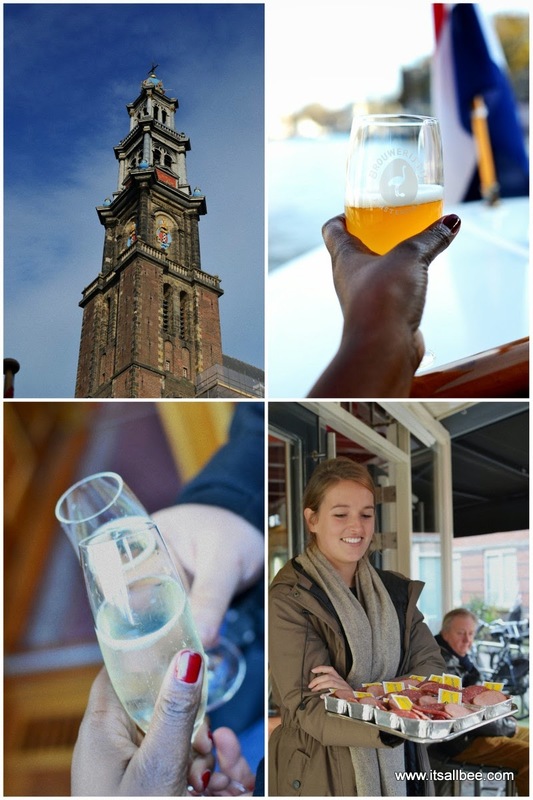 A Taste of Amsterdam – A Food and Drink Tour – A 2.5-hour tour sampling Dutch food and drink. Private Food Tour With A local – A 2.5-hour tour tasting the best Dutch in hidden gems only known by locals. Vegan Food Tour in Amsterdam – A 3-hour unique walking tour sampling the most delicious vegan food in Amsterdam. 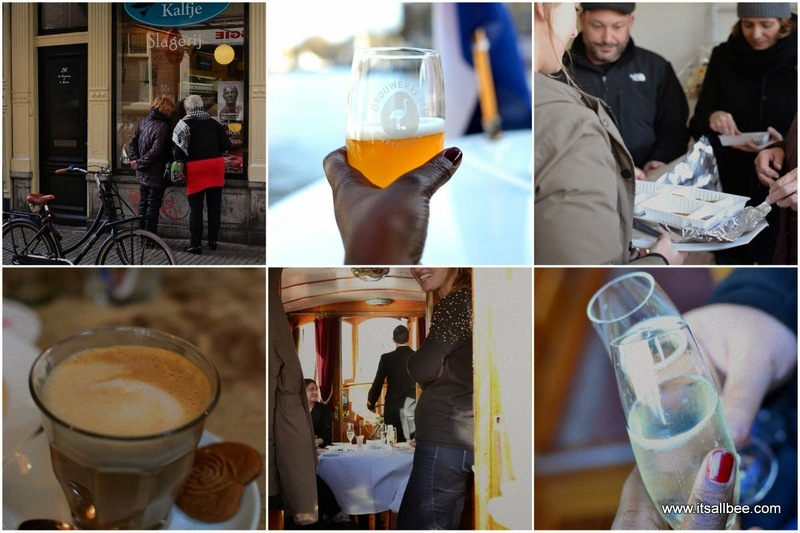 Private Food and Coffee Shop Tour – A 2.5-hour tour learning about the food and coffee shop culture in Amsterdam. 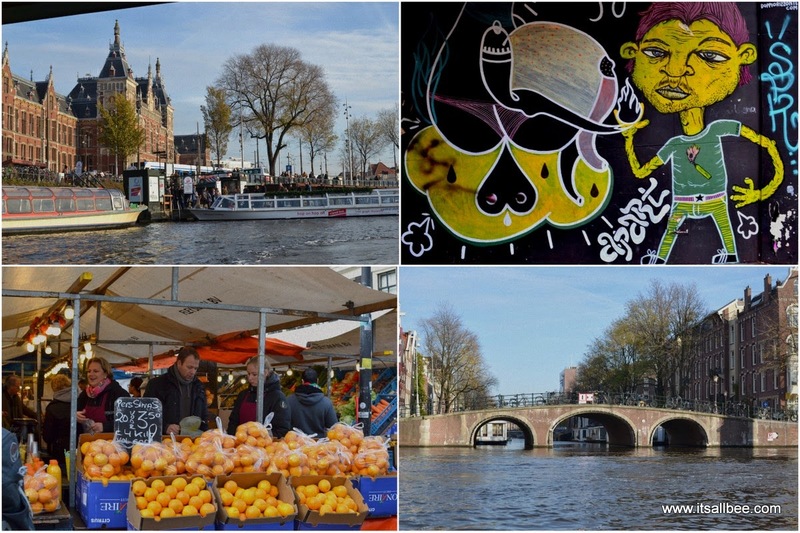 Amsterdam Markets and Food Tour – A 2-hour exploring local markets in Amsterdam. 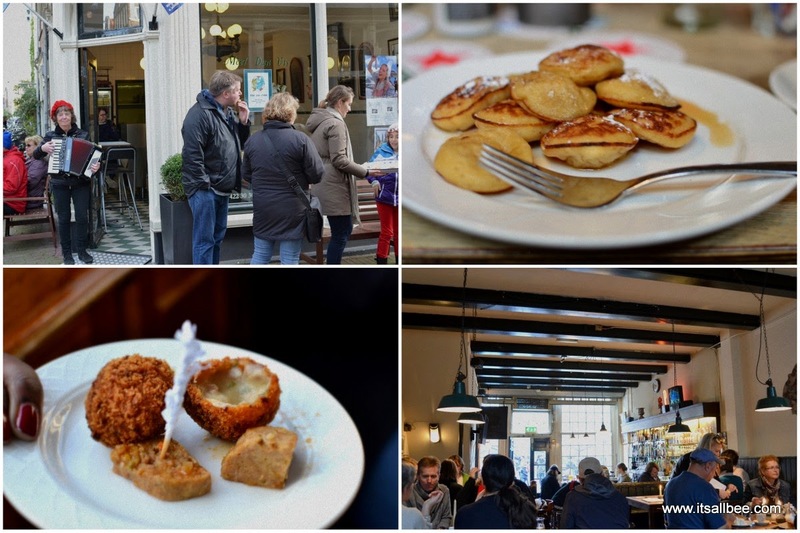 Amsterdam Jordaan Food Tours – A 4-hour walking tour in the historical Jordaan district. Private Amsterdam Red Light District Food Tour – A 2-hour private tour to experience Amsterdam’s notorious Red Light District. Private Off The Beaten Track Food Tour In Amsterdam – A 3-hour tour exploring the ethnically diverse neighbourhoods of Amsterdam like the Caribbean and Turkish neighbourhoods. 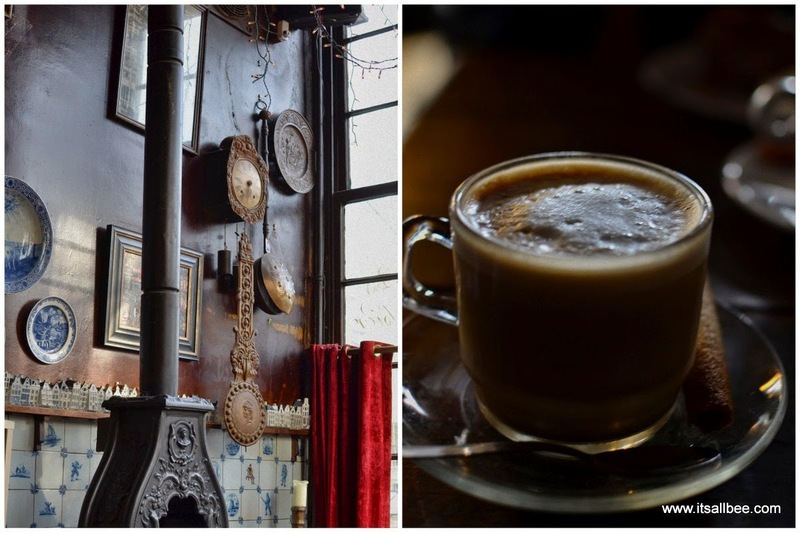 Amsterdam Coffee Shop Cultures and Local Foods Tour – A 2-hour Amsterdam walking tour exploring the city’s coffee shop culture. Amsterdam Evening Canal Cruise Food and Drinks Tour – A 4-course dinner cooked on board while you cruise around Amsterdam’s canal. Like this post? Please Share or Pin It For Later. love it! This looks like an amazing experience. Definitely want to try the amsterdam food tour when I visit this beautiful city. This looks like an awesome tour based on your descriptions and photos. I'm certain that I'd love everything except for the pickled herring. Herring and sardines are two of the only foods that I just don't like. I hated anything pickled but this was absolutely delicious. Not over done, not fished and none of the pickled-y tast to it. Beautifully done. I spy some bitterballen and poffertjes in your beautiful photography!! I'm from Rotterdam (about 40 minutes away from Amsterdam) living now in the US. I love and cherish each time I get back. Amsterdam is a beautiful city. Just this summer when I was back I took my first canal ride. I didn't go under Magere Brug, though! How fun! Didn't know about that superstition. Thanks for sharing your wonderful photos of my favorite city! These photos are beautiful! Such an amazing Amsterdam food experience. Great pictures! Looks like you got to taste some of the best street food in amsterdam. What a wonderful destination! What a great post! I so want to do the Amsterdam Jordaan food tour. I have heard so much about the Jordaan district, I cant wait to visit . Looks like a great tour – hope to check it out one day. Definitely adding these and the Amsterdam street food market on my list when I visit the Netherlands. Dutch food in Amsterdam looks so delicious! Thank you for such an in-depth write up and your photographs are stunning. Looks like a great tour. Love this post!!! Amsterdam Jordaan district food walking tour looks like one to check out. Always looking for good recommendations, and your pictures are amazing!! There is nothing I love more than eating my way through a new city. I would definitely love to do one of the food tours in Amsterdam. It is so cool that you were able to stumble upon authentic Surinamese food! Oh,amazing pics! I want to do this Amsterdam food tour! This sound like such a cool way to explore Amsterdam. I am adding Amsterdam food and canal tour to my European itinerary for next year. As you should! I am sure you will love it. Hmm. 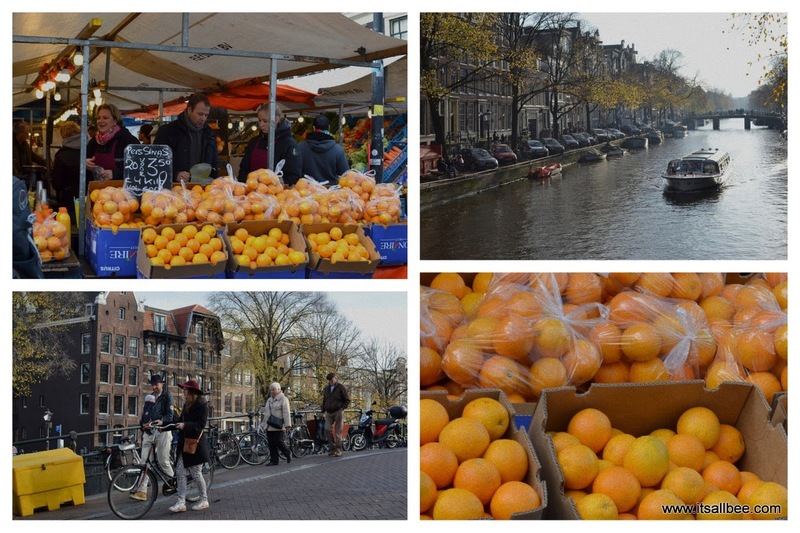 A food walking tour in Amsterdam? I like the sound of that already! Your Amsterdam food tour experience sounds like fun and once it’s fun I’m always in! Yeah, time for a good vacation in Amsterdam! Yep, definitely, time to check out Amsterdam for sure! Enjoy your visit.